An important factor when considering a new location or starting up a new business. Voice and Data cable installation for your business is an important factor when considering a new location or starting up a new business. Each cable should be tested by qualified installers in order to confirm proper installation and to ensure reliable operation. Jack Wallen wrote an article 10 Cabling Tips to Keep Your Data Center Manageable in TechRepublic stating 10 things that should be considered when installing data cables; number 4 is “Don’t skip the test” (TechRepublic, 2013). It is important to ensure your cabling contractor tests your data cabling per industry standards.  (ACT) Action Communication Technology, Inc. has included this process throughout their business practices to ensure the data structure meets industry standards. By using the Fluke DTX1800 ACTcan provide detailed certifications for each data cable providing the customer with specific and accurate downloadable information. Fluke products provide industry standard testing equipment and provide updated product information for accurate up to date communications. Where is Copper Cabling Headed?